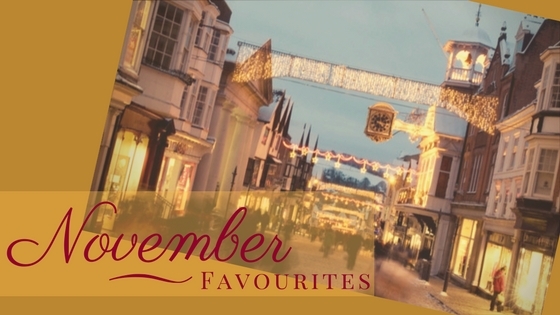 With Christmas preparation in full swing, the library roaming with students trying to meet those deadlines and NYE plans under way, I feel it’s the perfect time to recap some of my favourite November events. One of the first things you’ll hear Brits talking about when you first arrive in UK is “Bonfire Night”. And you’ll say to yourself: ‘that sounds like a camp thing, doesn’t it?’ Well, yeah. Sort of. Or not really. 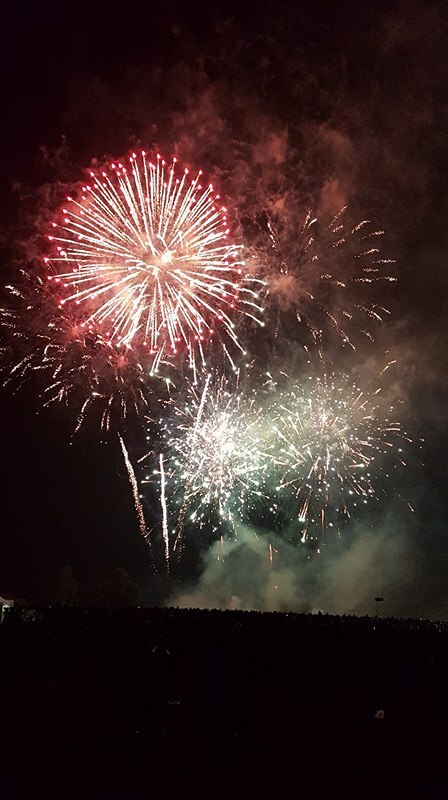 Bonfire Night traditionally marks the anniversary and celebration of a British tradition dating back to the Gunpower Plot of 1605, when Guy Fawkes tried to blow up the Houses of Parliament. 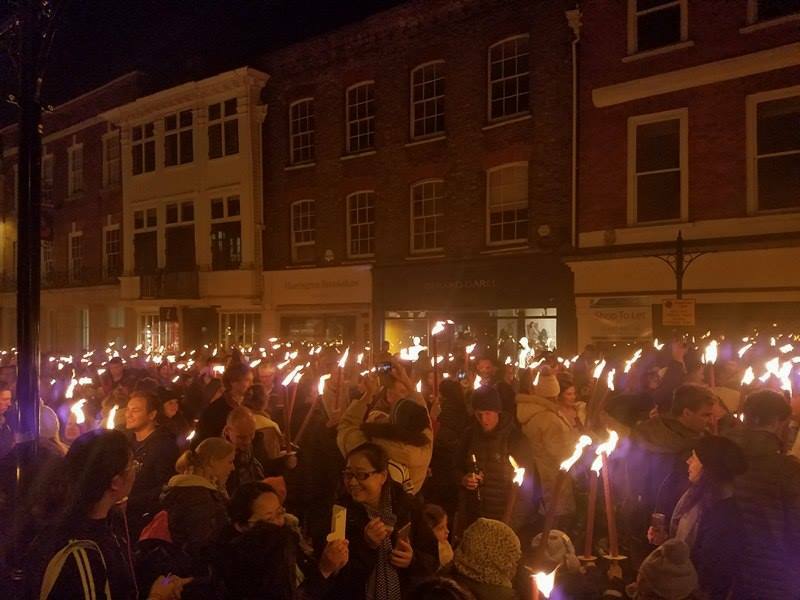 Celebrated all around the country, this year’s ‘Bonfire Night’ in Guildford started with a torchlit procession in the town centre and made its way to Stoke Park for a cosy funfair and FIREWORKS (most probably everybody’s favourite part, right?!). Why should you look forward to this event? Erm, most probably it will be one of your first opportunities to learn something about the local culture. Then, it’s a fun way to spend time with your friends or meet some new people. Also, USSU (Uni of Surrey Students Union) organises a “trip” together every year so even if you have no clue where to go, they’ve got your back! P.S. : The event is completely free, however you can contribute to the local community. All money raised from donations or buying torches go to local charity. This year funds went to Challengers, Headway and Guildford Lions Welfare Fund. Ok, this is by far one of my ultimate favourite events of the year. 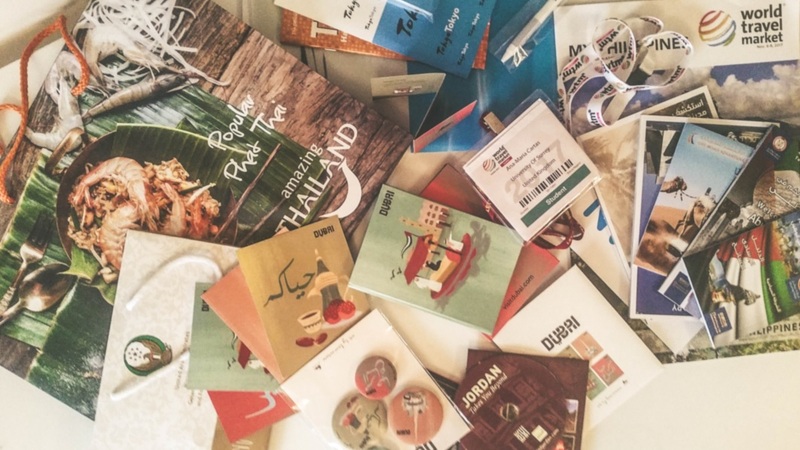 You don’t have to study tourism to attend the World Travel Market. You don’t even have to be into traveling to buy a ticket (although you should, traveling is by far the best thing out there-just saying). All you have to be interested in is having a fun and interesting day with your friends at one of London’s biggest events venues. 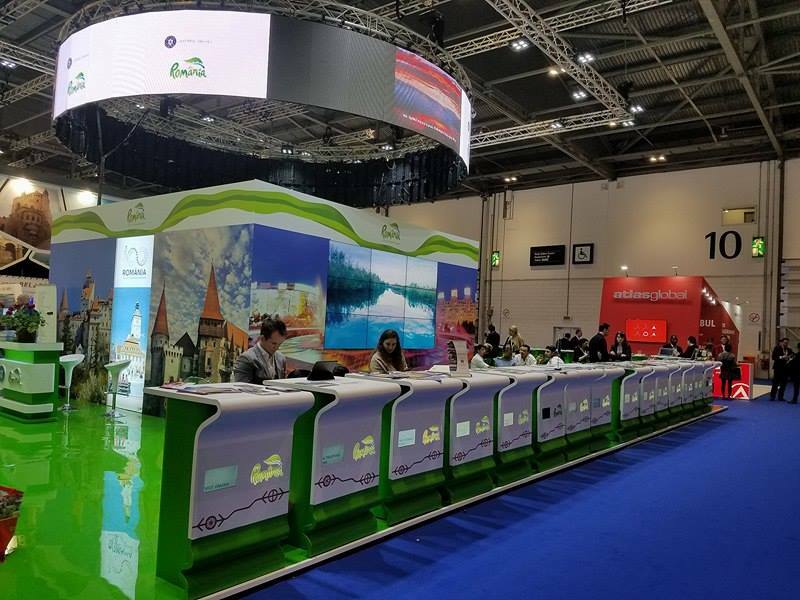 World Travel Market London is the leading global event for the travel industry and it also hosts WTM Career in Travel, an exclusive student programme designed to increase student opportunities within the travel and tourism industry. This year, key travel speakers from gapyear, TrekAmerica and Advantage Travel shared their stories and tips on building a career in the travel industry during the ITT-Future you, a premier student travel and tourism conference. 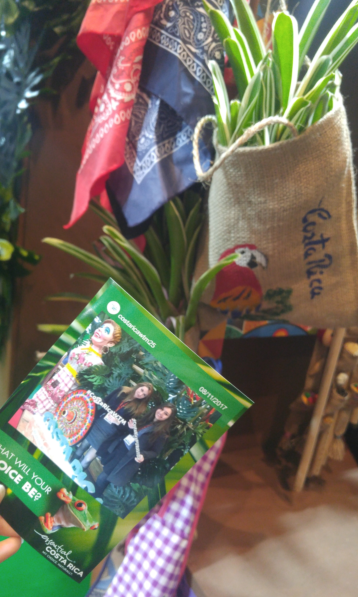 Useful for students doing hospitality, tourism or business-related courses, Surrey’s own tourism society-‘T.H.E Society’ organises an annual trip to WTM and even offers a DISCOUNTED entrance fee to Surrey students (whop whop, saves you the train fare!). Oh yeah, and have I mentioned all the freebies and goodie bags??? Does this event even need a description?! With Halloween parties over, the next big thing to be looking forward to is Christmas. And the X-mas lights switch-on has everything you need to get in a joyful mood : Santa’s reindeers, music, mulled wine, mince pies (if you haven’t tried one before, now is your chance: Brits LOVE them) and again, fireworks! When you’ve experienced an educational system that forces you to play sports you have no interest in and ultimately stresses you out because you must be really good at them so that your grades stay perfect, you’ll ask why should you even care about this? Well, that’s exactly why. Physical activity should not be about grades, should not have an impact on your academic performance. It should help improve your physical and mental wellbeing. The University of Surrey has one of Europe’s leading training facilities – Surrey Sports Park. Fun fact? The Park hosted 16 Olympic and Paralympic teams for pre-London 2012 training camps including GB Basketball, Singapore, USA Triathlon and Chinese Synchronised Swimming. What is the event about then? ‘This Girl Can’ is a national initiative aimed at encouraging women to take up physical activities and forgetting about the ‘perfect’ social media look, thus boosting their self-confidence. 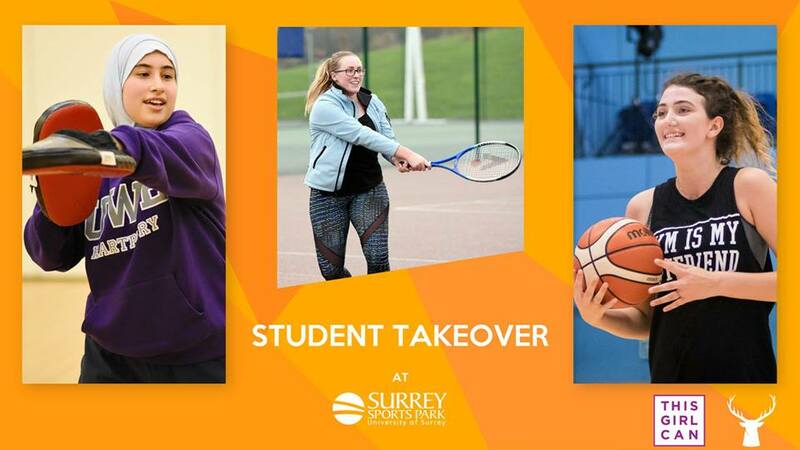 For one night only, female students took over Surrey Sports Park and all they had to do was to show up and try out new activities. How awesome is that!? That’s it for today. I hope you enjoyed this week’s blog and got an idea about how many amazing things we have going on at Surrey to keep us busy. Catch you next time! University of Surrey: my round-the-world ticket to success!